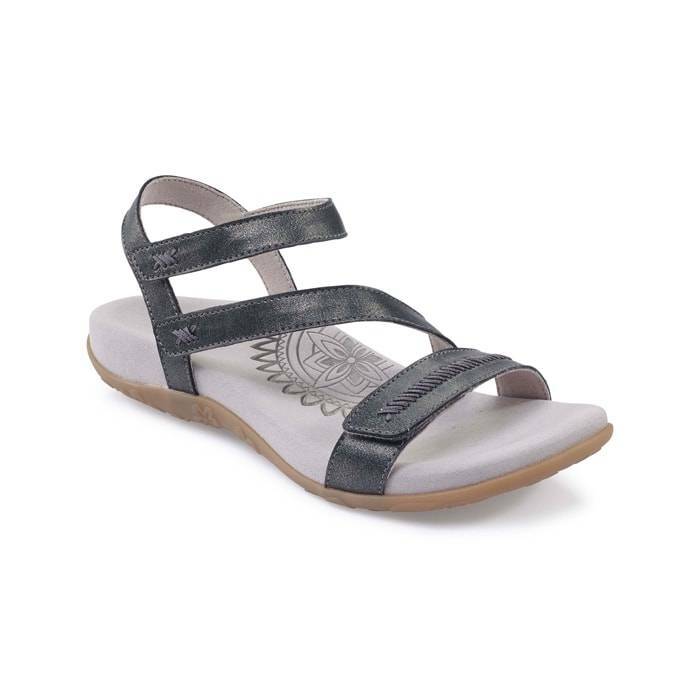 The Aetrex Gabby Pewter is a uniquely personalizable sandal with three fully adjustable straps which are strategically placed to provide the most support you will experience in any sandal. The Gabby provides lasting comfort and a distinct design that flatters every foot. The Gabby features the Aetrex “Healthy 3”: Lynco orthotic footbed for balance, alignment, and support. Memory foam cushioning for customized comfort. Anti-microbial technology to keep feet fresh. Step into this sandal and you will never want to take them off.